You may not be able to see the dirt and grimy buildup on the exterior of your home, but believe me, it’s there. This accumulation of dirt is not a reflection on your cleaning or home maintenance abilities—it’s simply part of your house being exposed to the elements. But that doesn’t mean that you have to sit idly by as years of grime dull your beautiful home. Instead, use a pressure washer to remove the dirt and bring your home’s exterior back to life. Sounds easy enough, right? Well, pressure washers can cause a lot of damage if you don’t know what you’re doing, so it’s important to do a little research before getting started. If you’ve never used a pressure washer, you’ve come to the right place. Until a couple of years ago, I hadn’t used one either, and to be perfectly honest, I was a little intimidated by them. I wouldn’t go so far as to say I’m a pro now, but I’ve learned a lot, and I feel much more confident in my pressure washing abilities. Ready to get started on your own project? Keep reading for an easy guide to pressure washing and my top tips based on first-hand experience. Gas or Electric Pressure Washer? Pressure washers work by using a pump to increase the pressure of water flowing through the attached hose. That pump can be powered by gasoline or by electricity, and there are pros and cons to both. My husband and I decided on a gas-powered pressure washer because they typically provide higher PSI (pounds of pressure per square inch) and GPM (gallons of water per minute) than an electric version. The extra power means that we can clean surfaces much quicker. Your circumstances and needs may differ from mine, however, so use the information below to help guide your decision. Pro: Gas-powered pressure washers can produce a wide range of PSI and GPM levels, which means that they clean faster and more efficiently than electric models. Pro: Gas pressure washers are cordless, so if you aren’t near a power outlet, you’ll still be able to work. Con: Gasoline engines—even small ones—require consistent maintenance. You will need to periodically change the oil in your gas pressure washer and make sure that you use the proper fuel additives if you plan to store the machine for an extended period of time. Con: Gasoline engines are louder than electric engines, and they do produce emissions. You cannot use a gas-powered pressure washer indoors or in covered spaces. 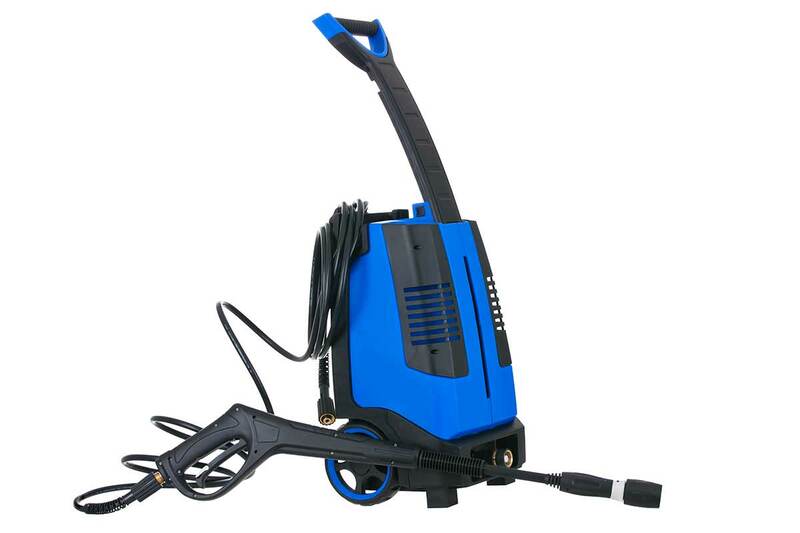 Pro: Electric pressure washers do not produce harmful emissions—if you had to, you could use one indoors (though you would want hearing protection and a reliable way to remove the water). Pro: An electric engine means that you don’t have to worry about oil changes and other maintenance tasks. 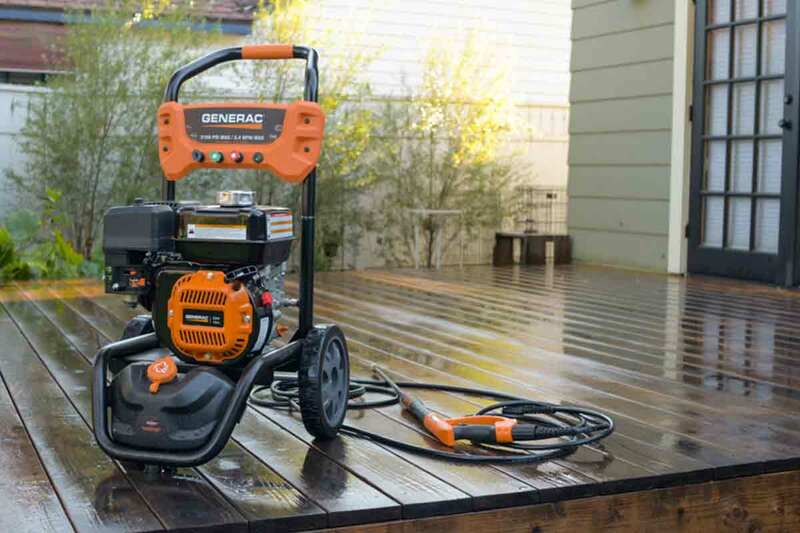 Con: An electric pressure washer simply cannot produce the power of a gas-powered model. 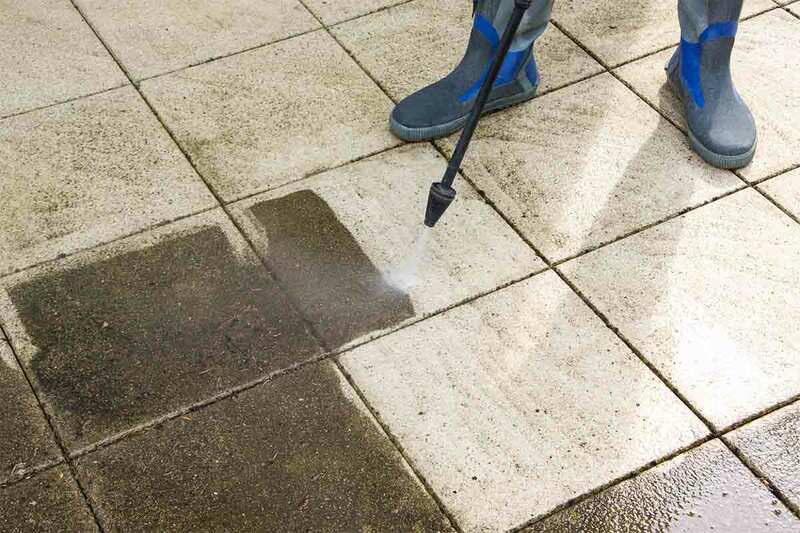 If you need to clean a large or especially dirty area, an electric pressure washer will take much longer to complete the job (and you may not see the results you hoped for). Con: Because they require a power outlet, electric pressure washers are not as portable as gasoline versions. What Size Pressure Washer is Best? Regardless of whether you choose a gas or electric pressure washer, you will also need to make a decision about the size of the engine. Like any other engine-powered machine, the size of the engine determines the total power of the unit. A small engine will not be able to produce the water pressure or the gallon-per-minute output of a larger engine. Light-duty pressure washers produce water pressure levels under 2,000 PSI. 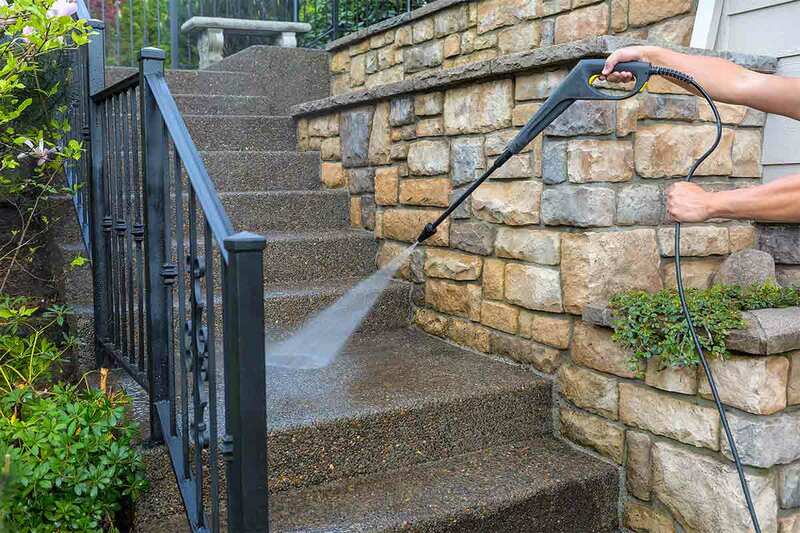 If you only plan to clean the occasional outdoor household item or a small deck or patio, a light-duty electric pressure washer is perfectly sufficient. A medium-duty pressure washer is what you’ll need if you’d like to clean your home’s siding, driveway, or fencing in addition to smaller jobs around the house. A pressure washer of this size produces water pressure levels between 2,000 and 2,800 PSI. If you know you’ll be cleaning large areas of concrete or needing to reach a second story, a heavy-duty pressure washer may be your best bet. Heavy-duty pressure washers reach pressure levels of between 2,900 and 3,300 PSI. Planning to do a lot of pressure washing? 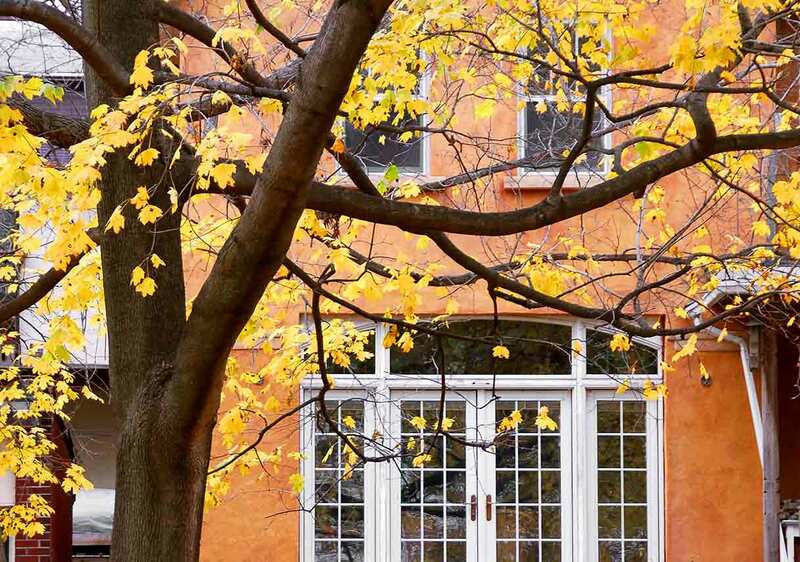 Are you preparing your home’s exterior for a repainting job? If so, consider investing in a professional-grade pressure washer. The extra-heavy-duty engine of this type of pressure washer is designed to handle many work hours and produce water pressure levels of 3,300 PSI and higher. Regardless of which pressure washer you choose, remember to take the GPM measurement into account, too. Which Nozzle is Best for the Job? While the size of the pressure washer’s engine determines the machine’s overall power, the nozzle you choose determines the angle of the water stream. This angle is important because it affects what the water stream can do—a narrow-angle spray is more powerful than a large-angle spray. Red: A red tip is the narrowest angle—zero degrees. This tip creates a water stream that can do a lot of damage, so be careful if you need to use it. Don’t use a red-tipped nozzle up close to any surface. Yellow: The yellow tip creates a spray with a 15-degree angle. Reach for this nozzle when you need to pressure wash concrete around your house. Green: A green tip produces a 25-degree spray that works well for all-purpose household pressure washing. This is the nozzle to use if it’s time to wash your car or clean mildew that has accumulated on your patio furniture or deck. White: Perhaps the most user-friendly nozzle, a white tip produces a 40-degree spray. Use the white tip if you’re embarking on an exterior home cleaning adventure. 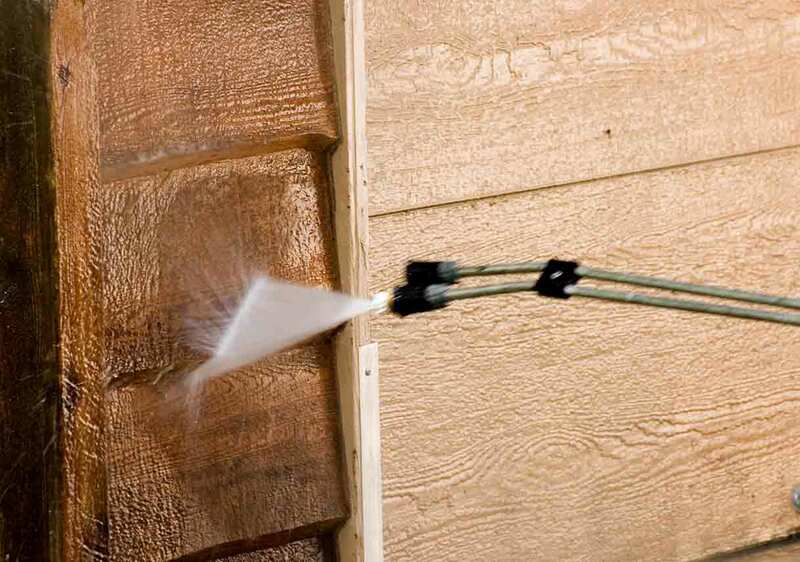 A white-tipped nozzle is suitable for windows and siding. Black: Producing a spray angle of 65 degrees, a black nozzle is the gentlest. In fact, this spray is so light that it won’t remove dirt or stains; instead, use this nozzle when you need to make a surface wet. Surface cleaner: This attachment uses a spinning bar to distribute the high-pressure stream of water over a larger surface area than a single spray alone. This attachment is helpful for cleaning large expanses of concrete, like a driveway. Rotary nozzle: Also called a turbo nozzle, a rotary tip produces a spinning zero-degree water stream. This nozzle is especially useful for removing difficult stains and grimy buildup. Pressure washing broom: Similar to a surface cleaner attachment, a pressure washing broom divides a single water jet into two or three for more power and a larger cleaning area. Expandable wand: An expandable wand will give you more reach when you need to clean surfaces up high without using a ladder. Soap/detergent reservoir: A soap/detergent reservoir attaches to the pressure washer and adds cleaning solution into the jet of water. Be sure to use the right nozzle for this job—a water stream that is too strong will force soap into the surface, which can cause damage. Pressure washing can be a messy job—and dangerous if it isn’t done correctly—so it’s important to take the time to adequately prepare. For any pressure washing job, be sure to wear eye protection and hearing protection. Pressure washers are loud, and the high pressure of the water means that debris and water will spray back toward you. Until you gain confidence with the pressure washer, hold the wand securely with both hands so that it won’t fly out of your grip. Keep the spray tip approximately 18 inches away from the surface you’re cleaning to minimize the risk of damage. If you are thinking about pressure washing painted siding (or any other painted surface) from before 1978, don’t. Contact a professional pressure washer instead. Old paint can flake off when pressure washed, and neither you nor anyone else in your family—pets included—need to breathe in or accidentally consume lead paint chips or dust. When I first learned to use the pressure washer, I made sure to test out my skills on the back side of our fence. The back of our property is completely wooded, and I figured the deer wouldn’t judge me for any pressure washing mistakes. If this is your first time working with a pressure washer, I highly recommend you do a similar test run before beginning your project in earnest. 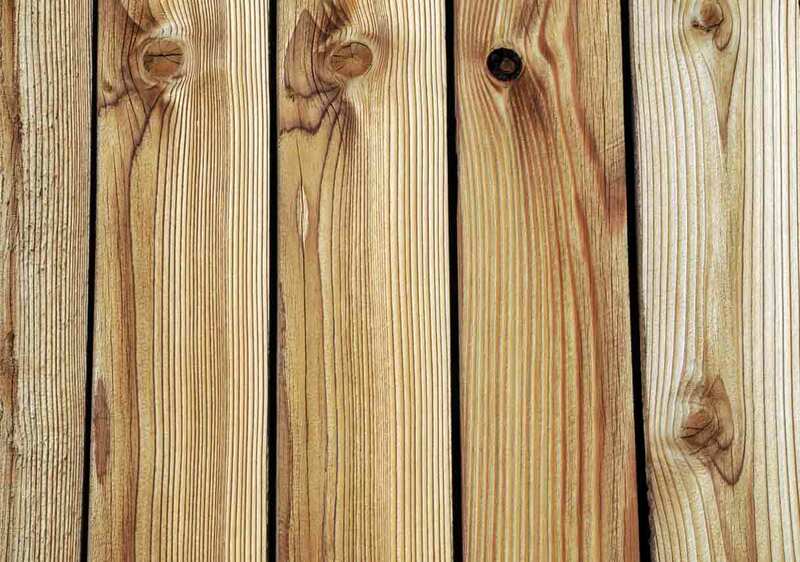 Most fences and decks are constructed from relatively soft woods, such as pine or cedar, and it’s easy to strip off more of the surface than you intended. Move the pressure washer’s wand in an even, up-and-down motion. For the most even cleaning, try not to let the spray linger in any one place. As you’re getting the hang of it, you may need to make a couple of passes over the same spot, but that’s much better than getting too aggressive and damaging the wood. Don’t stop the spray in the middle of a board—wait until you’re at the top or bottom. Likewise, don’t start spraying in the middle of a board. Use overlapping strokes to avoid visible lines. 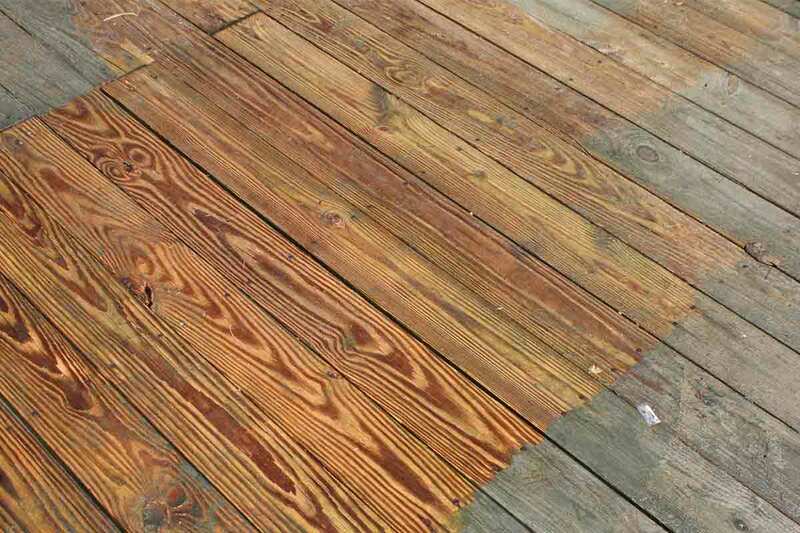 Once you’ve finished pressure washing, it’s time to seal the wood to protect it from the elements. But first, let the wood dry for at least a day. Obvious stains and mildewed areas on concrete are relatively easy to spot, but everyday dirt buildup is frequently overlooked. I had no idea how dirty our driveway was until my husband cleaned it with the pressure washer. 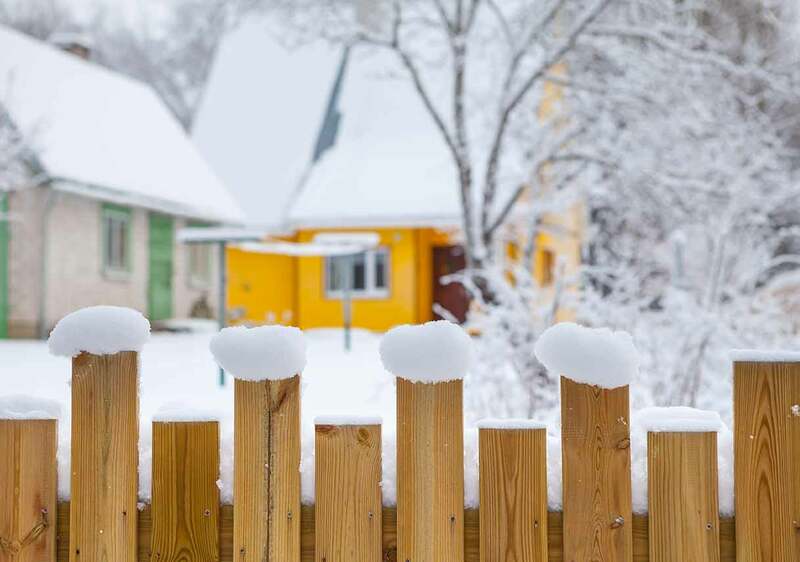 Granted, there’s a lot more to curb appeal than a clean driveway, but it sure does make a difference. Thoroughly sweep and brush off the surface before you start. If your driveway has been stained by motor oil or another fluid, pretreat those areas by using the stiff brush to scrub the stains with concrete cleaning solution. When you’re ready to pressure wash the surface, be sure to use the right nozzle—a narrow spray will have the most cleaning power. 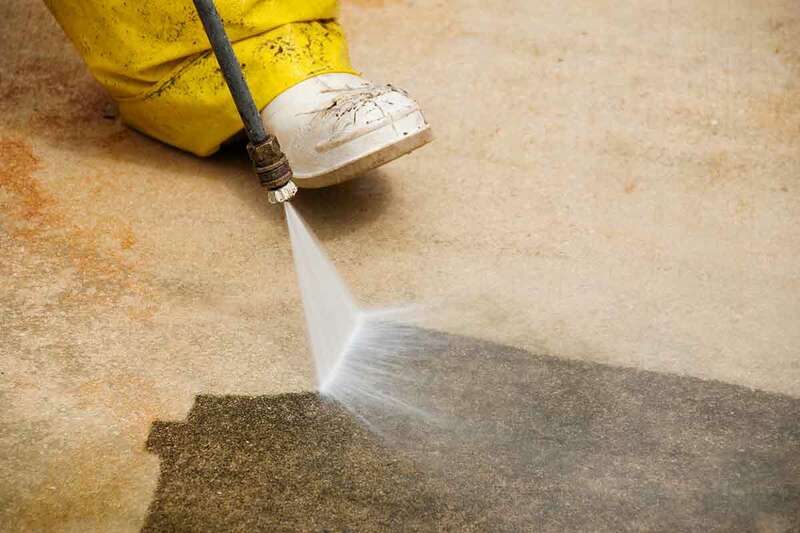 Particularly tough stains may need a few passes with the pressure washer, but once you’re satisfied, let the concrete dry completely before applying a sealer. While this last step isn’t absolutely necessary, it’s the best way to help keep the concrete looking good for the next few years. To get started, take yourself on a tour of the outside of your house. Keep an eye out for loose pieces of siding, cracks, and other breaches that could admit water during the cleaning process as well as during storms. These problem areas should be patched up before you pressure wash. Attach the soaping nozzle to the pressure washer’s wand and fill the machine’s detergent reservoir. 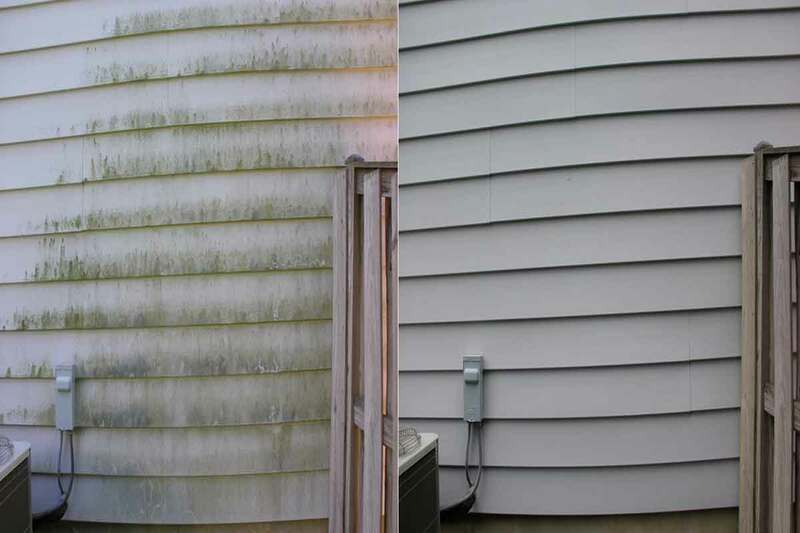 Use the pressure washer to apply soap to the siding. If your house has any especially dirty areas, you may need to either pretreat them and/or use a scrub brush to loosen the dirt or mildew. 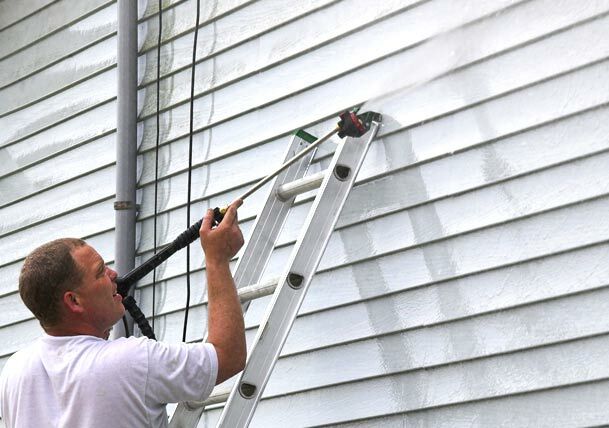 Switch to the green- or white-tipped nozzle to rinse the siding. Both of these nozzles produce a stronger, higher-pressure stream of water, so rinsing away the dirt and soap and clearing any tough stains should be much easier. Depending on the size of your home, this job may take a while. Don’t rush yourself, especially if you need to use a ladder. If the job takes you a few days or weekends to complete, so be it. Your safety is the most important consideration. Depending on the weather and other environmental factors, you will most likely need to wash your siding every couple of years. I was sure that I would hate pressure washing, but it is an important part of taking good care of your home. As it turns out, I get a kick out of seeing the immediate results on the siding and the concrete around the house. 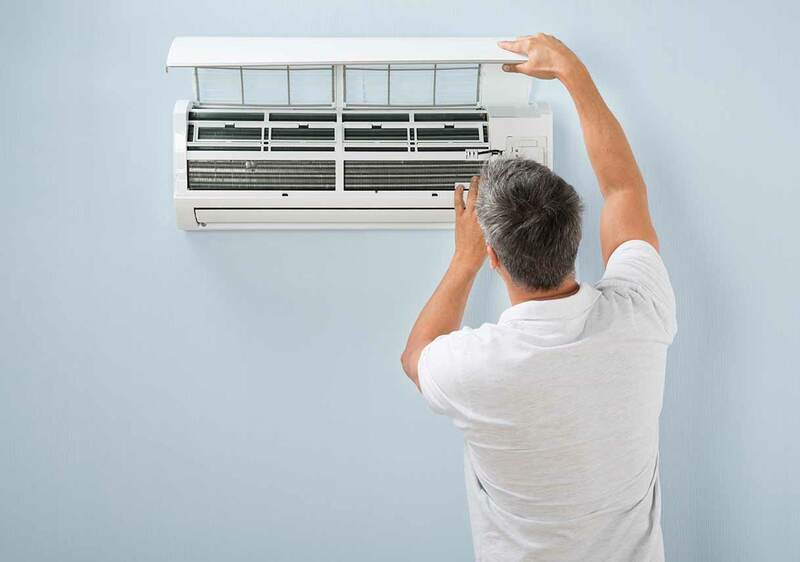 If instant gratification is your thing when it comes to cleaning and home maintenance, you may find that you feel the same way I do. On the other hand, you may decide that pressure washing is just too much of a hassle. And that’s OK! It’s a dirty job, after all, and you’re virtually guaranteed to get soaking wet. If you’d rather let someone else take care of the pressure washing, contact a Best Pick Window Cleaning & Pressure Washing specialist for help. With some water and a little elbow grease, your home will be as clean on the outside as it is on the inside.